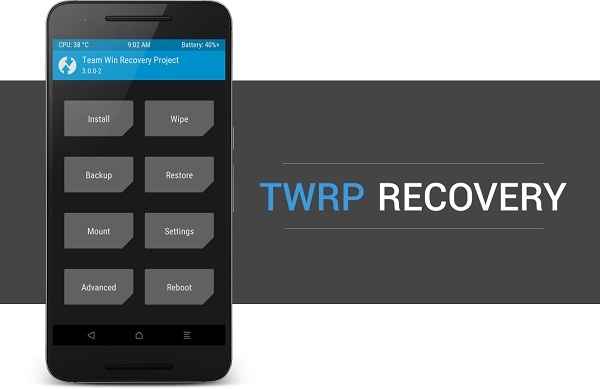 Download and Install TWRP Recovery 3.2 on any Android without root. Do you want to install latest official TWRP custom recovery on Android without PC? If yes, then this is the guide for you. Download TWRP for Redmi Note, Coolpad, Xiaomi, Mi, Motorola, Micromax, OnePlus, Sony Xperia, Samsung Galaxy, Lenovo, Poco f1, Vivo etc. TWRP (TeamWin Recovery Project) is a custom recovery developed by TeamWin for Android devices. It allows user to install third party custom ROMs, kernels and mods like Magisk or Xposed. In addition to that, it also helps to root Android, wipe device partitions and backup entire system. This recovery provides a fully touchscreen enabled interface for Android. Due to its countless advantages over CWM (ClockworkMod), it soon became available for other smartphones and tablets. But as all Android devices are not same, TWRP is built differently for each device. Hence this recovery is available in both official and unofficial builds. And since TWRP is an open source project, it is quite easy for developers to compile an unofficial TWRP recovery build. Before moving further, we recommend to backup your data including contacts, apps, call logs, messages, notes etc. This is because there are chance of your data getting wiped out during this process. Without waiting anymore, let’s proceed to our actual tutorial on how to install TWRP recovery on any Android device via fastboot. We at DroidThunder will not be held liable for any damage caused by following this article. We recommend to perform every step at your own risk. Lack of battery power can cause interruption. So charge your device at least 60%. Install latest mobile USB drivers on your PC so as to detect your device when connected via USB cable. Download latest Mobile USB Drivers. You must install latest ADB and fastboot drivers on your PC. 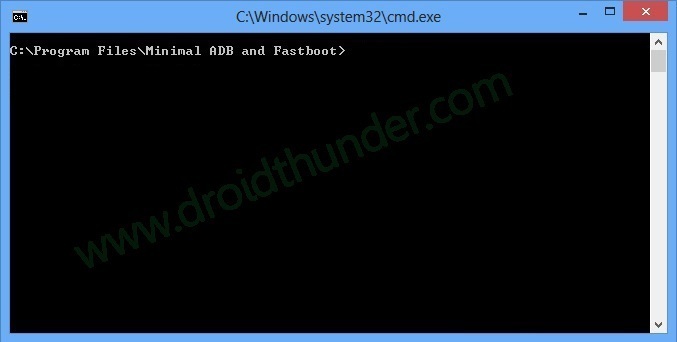 Download latest ADB and fastboot drivers. You must unlock bootloader of your phone before going ahead. How to Unlock Bootloader of any Android device. How to Enable USB Debugging mode on Android. 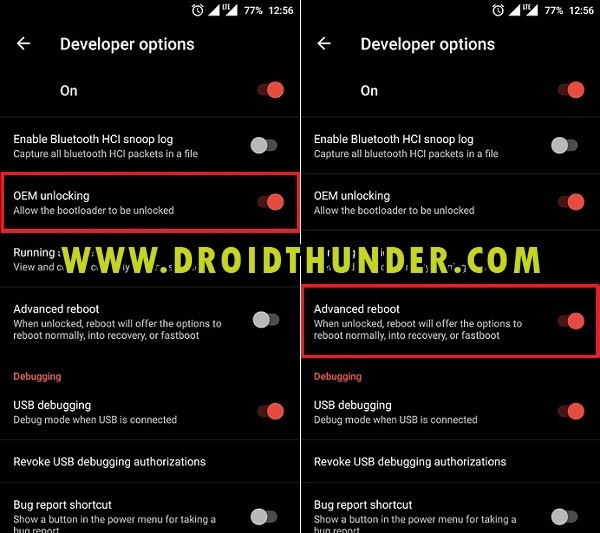 Also Enable OEM unlocking and Advance reboot mode from the Developer options. Download latest TWRP Recovery for Android. Step 1: Download the latest TWRP recovery.img file on your PC from the link given above. Note: Rename your TWRP recovery filename to twrp.img. 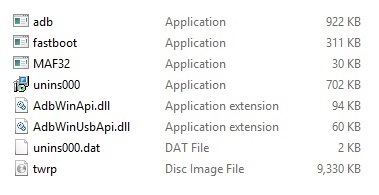 For example, if your recovery file has name ‘twrp-3.1.1-1-j5lte.img’, then rename it to ‘twrp.img’. Step 2: Copy this recovery.img file to the location C:\Program Files\Minimal ADB and Fastboot folder (where you’ve installed the adb and fastboot). Note: Files may differ from shown in image. Step 3: Using standard USB cable, connect your Android device to PC. Step 4: Now go to C:\Program Files\Minimal ADB and Fastboot folder, hold Shift button and right mouse click on an empty space. You’ll see a list of options from which select Open command window here option. 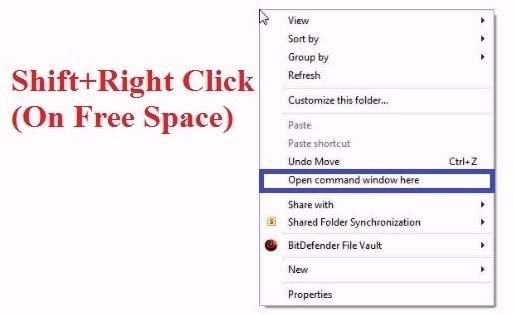 This will launch command prompt window (cmd) on your PC. As soon as you press enter key, you’ll see a message saying ‘List of devices attached’ along with random numbers. This will confirm that your Android device is successfully connected to PC. Note: If such thing doesn’t happen, then re-install USB drivers on your PC (link given in pre-requisites). If the problem still persists, change USB cable or PC. 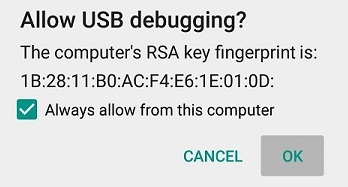 If you get a permission pop up on your device to “Allow USB debugging”, tap OK. This will boot your device into fastboot/bootloader mode. 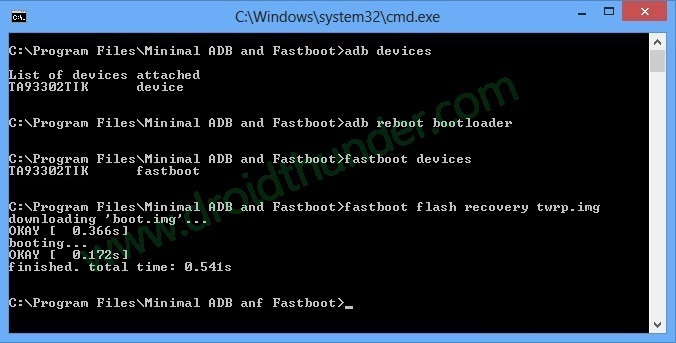 Some random number along with ‘List of devices attached’ message will confirm that fastboot is functional. This command will install TWRP recovery on your Android phone. It will hardly complete in few seconds. That’s it! You’ve successfully flashed the latest official TWRP custom recovery on Android. With this custom recovery you can flash custom ROMs, root your phone, flash kernel, mods, take nandroid backup and do much more. For any queries, kindly comment below. Follow us on Facebook, Twitter and Google+ to stay updated.